Interval International has announced the affiliation of Astana Lifestyle Club on the Indonesian island of Bali. The Club includes shared ownership units in three resorts located in Seminyak, one of Bali’s most fashionable neighbourhoods, and Sanur Beach, famous for its white-sand, crystal-clear water and natural coral reef. Located in Seminyak, close to Bali’s best shopping, dining, and nightlife, Astana Batubelig Suite Villa includes one-bedroom units. Astana Kunti Suite Apartment and Villa offers more options with studios and one- and two-bedroom suite apartments. 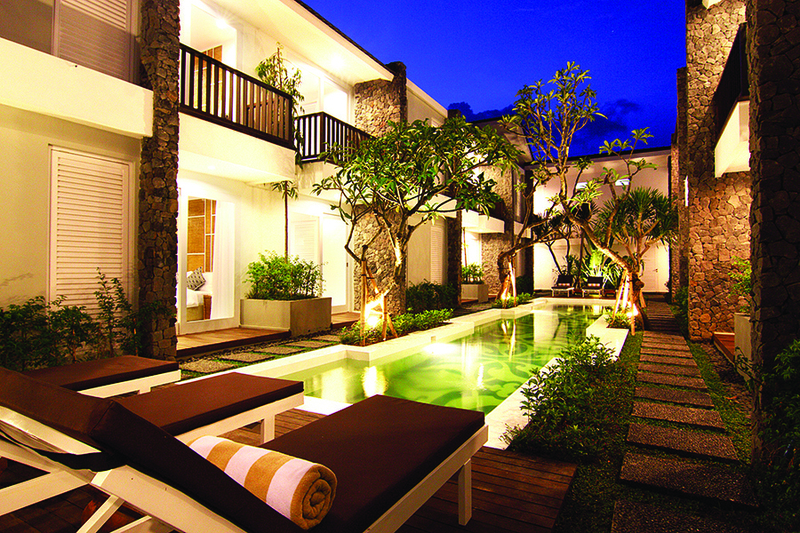 Astana Pengembak Suite Apartment and Villa near Sanur Beach has studios and one three-bedroom suite apartment. All units are air-conditioned and furnished in modern style with Balinese touches. En-suite amenities include a flat-screen cable TV, DVD player, stereo, and Wi-Fi. The one-, two-, and three-bedrooms have a private pool. Each property features a restaurant and offers room and laundry services and complimentary bicycles. Daily housekeeping is also included. Astana Batubelig Suite Villa and Astana Kunti Suite Apartment and Villa are 25 minutes from Bali’s international airport and Astana Pengembak Suite Apartment and Villa is 40 minutes away.